Going somewhere this late summer? We've been working on this project a few weeks ago together with Tommy Hilfiger and I was so excited about it I really couldn't wait to show you guys! The whole idea of the project was to create an editorial with some tropical - holiday feelings to it and I'm pretty happy with the results. 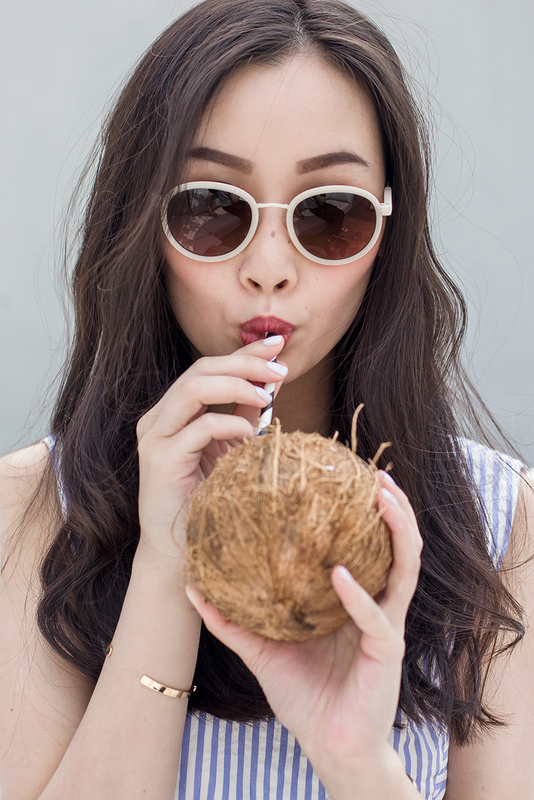 Doesn't it look like I'm sipping fresh coconut water on a sunny island somewhere in the Mediterranean sea? There is just 21 days of summer left (eeeeek) and Fall is practically right around the corner. Do you have any plans left to celebrate the last sunny days before we hit another ice age? For those amongst us who are lucky to go on a late summer holiday, you might want to read on for a few essential packing tips.. Happy last 21 days of summer everyone! Recently I discovered the benefits of a travel checklist and I've absolutely no idea why I've never used it before in my entire life. I guarantee you, it will save you so much last minute packing troubles. Make a list at least a week before you depart, that way you have plenty of time to think twice about the items you want to take with you. Is it really necessary? Maybe you can leave some at home and save space for souvenirs! 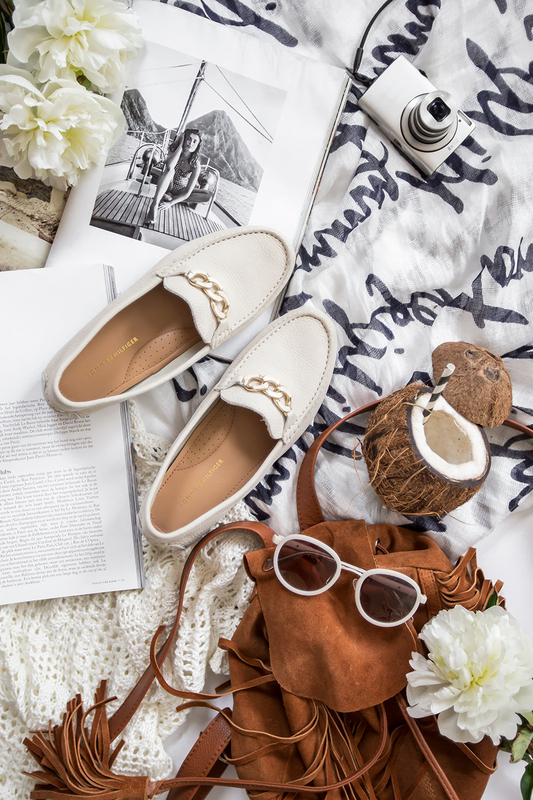 Flats are you new best friend: they'll bring you to places (comfortably) plus they take way less space than those six pairs of heels you had in mind. Are you really going to wear all of them? Pack one of your most comfortable pair of basic - black - pumps, that will do for a fancy dinner and a night out! 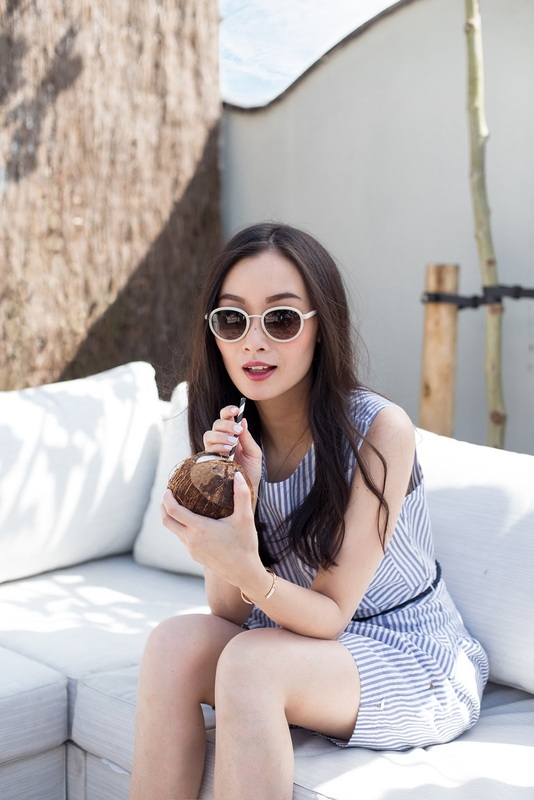 Maximize your holiday wardrobe by bringing items which work for day and night and can be easily mixed and matched - the striped dress I'm wearing can be dressed up for the evening by simply replacing the rope for a belt and a linen scarf can also be used as a bikini cover up! Use your (phone) camera to take a snap of all your documents such as your passport, insurance & credit cards and make sure you send a copy to your e-mail. You'll never know what's going to happen and this way you can easily have access to all your important documents. Always think ahead! Pack at least a bikini, a pair of spare underwear and a change of clothes in your hand luggage in case your suitcase is delayed or lost. You don't want to be all stressed out on the first day of your vacation because you literally have nothing to wear. 10 Responses to TOMMY, LET'S GO! Fantastic tips and beautiful pictures ! I am dying to go for a vacation.